f there’s one common theme in the human services world, it’s that the pace of change and disruption is intense and relentless. Fueling this turbulent environment are the dynamics of convergence – a once-in-a-generation phenomenon in which societal goals, value measures, technological platforms, market incentives and operating models are aligning in profound ways. What’s imperative now is that human services leaders gain an understanding of how to shape convergence in order to create newfound capacity for the future, solutions for people in need, outcomes that communities want and legitimacy that society demands. The alignment of health and human services – along with education, workforce development and public safety – will forge new partnerships and pathways to sustainable population-based health and wellbeing. The fusion of technological platforms, mobile applications, data-driven analytics and social networks will open up entirely new ways of engaging with citizens, evaluating programs and customizing services. The intersection of demand for preventive services with cross-sector capital models will accelerate financial mechanisms such as Pay For Success and Social Impact Bonds and open channels for investing in long-term solutions. The merging of ideas in behavioral economics and evidence-based budgeting will set new standards and methods for how policy is developed, outcomes are valued and impacts are measured. The combination of new research in developmental psychology, social determinants, executive functioning and multi-generational poverty will inform methods for designing interventions and empowering people for success. As leaders start to grapple with the peril and potential of convergence, they’ll need to exercise adaptive leadership to mobilize their stakeholders, workforce and partners around the shared vision, joint investment and co-ownership of outcomes this new world will demand. 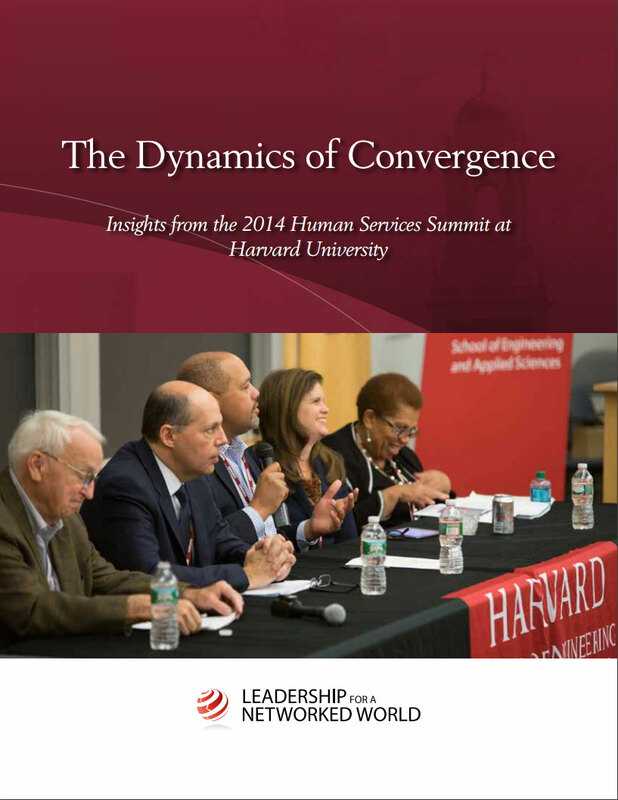 To help human services officials shape the dynamics of convergence, exercise leadership and build capacity for the future, the Technology and Entrepreneurship Center at Harvard, Leadership for a Networked World and Accenture, in collaboration with the American Public Human Services Association, are convening senior-most leaders for The 2014 Human Services Summit: The Dynamics of Convergence. This fifth annual Summit, to be held October 24 – 26, 2014, at Harvard University in Cambridge, Massachusetts, will provide an unparalleled opportunity to learn from and network with the world’s foremost human services practitioners, Harvard faculty and researchers, and select industry experts. The Summit will feature practitioner case studies, ideation sessions and topical workshops designed to help participants envision an actionable transformation plan and hone leadership skills. Summit participants will gain membership to a community of peers and experts, and leave the Summit prepared and poised to not only shape the dynamics of convergence, but also deliver valued outcomes and impact for society, communities, families and individuals.